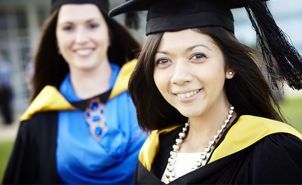 It is compulsory to wear the James Cook University (JCU) approved academic at your graduation ceremony. Note: that PhD gowns may only be collected on the day of your ceremony. When you collect your gown you will be shown how it is to be worn. Buy or hire your official JCU academic dress here.